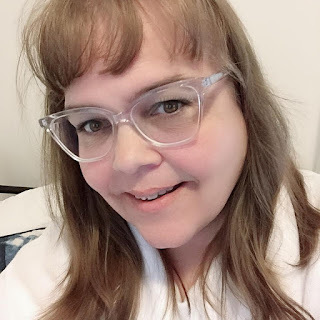 Disclosure: ItsJustMyLifeCA received products for this review. All opinions, however, are honest and my own. The Instant Pot or IPot as I affectionally call it has to be my number one go to small appliance. I use it more than my stove. Everyone in my family now has one and they are always raving about the Instant Pot and everything they can make in it. The great thing about the Instant Pot is it combines so many features into one small appliance. I have the 7 in 1 programmable cooker and it has many functions including pressure cooker, slow cooker, rice cooker, saute pan, yogurt maker and warmer - all in one appliance! You know that I am all about saving money and the Instant Pot definitely helps me do that because it save on energy consumption because it is energy efficent. I can have a delicious meal on the able in as little as 5 minutes prep time and about 15 minutes cook time. Time I don't have to stand over top of the stove freeing me up to do other things while the Instant Pot cooks my dinner. This cookbook is available for pre-order right now and it coming out September 1, 2016. I have looked through all the recipes and even tried a few and they are all very tasty. 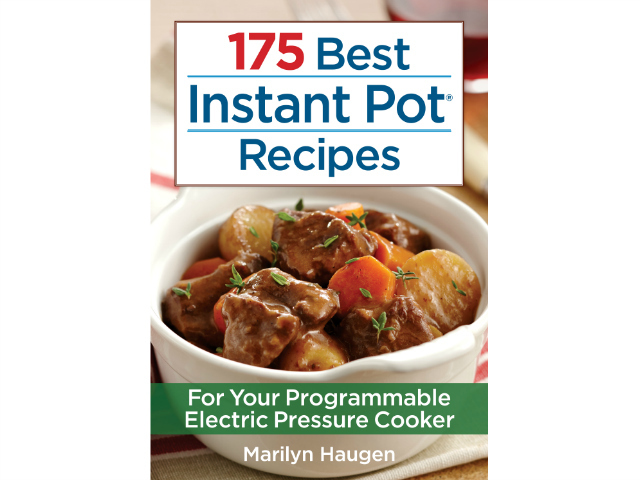 Once again, Marilyn brings her extensive and creative recipe development skills to the forefront with these deliciously convenient meal ideas that truly ma ke the most of an Instant Pot’s capabilities. And there are recipes for every meal and occasion. 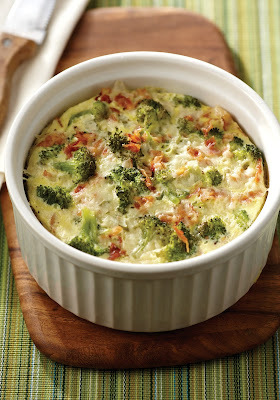 Take a look at how easy this Crustless Bacon Broccoli Quiche is to make in the Instant Pot. 2016 www.robertrose.ca Reprinted with publisher permission. Simple, elegant, colorful and sure to be a family favorite, this quiche is quickly ready for breakfast or lunch. Serve it with a side of fruit for breakfast or a side salad for lunch and feel like you have been transported to a Parisian bistro. 1. In a large bowl, whisk eggs. Whisk in mustard, salt, pepper and milk. Stir in bacon, broccoli, cheese and green onions. Pour mixture into prepared soufflé dish and cover loosely with foil. 2. Add 11⁄2 cups (375 mL) water to the inner pot and place the steam rack in the pot. Place the soufflé dish on the rack. Close and lock the lid and turn the steam release handle to Sealing. Press Manual; the indicator will read “High Pressure.” Use the button to decrease the time on the display to 10 minutes. 3. When the timer beeps, press Cancel and let the pot stand, covered, for 10 minutes. After 10 minutes, turn the steam release handle to Venting and remove the lid. Check to make sure a knife inserted in the center comes out clean. (If more cooking is needed, reset the manual pressure to “High Pressure” for 2 minutes.) Let the pot stand, uncovered, for 5 minutes, then remove the soufflé dish. Cut into 4 wedges and serve. You can use virgin olive oil instead of butter to prepare your soufflé dish. Make sure the sides of the dish are coated all the way to the top, to allow the soufflé to rise and expand without sticking. As a regular Instant Pot user I highly recommend them to all my friends and family. It has just made making dinner a whole lot easier for me. Disclosure: It's just my life... did not receive compensation but did receive products for review purposes. It's just my life... may, however, receive compensation through purchases from affiliate links in this post. All opinions on this product are my own and may differ from our readers’ opinions.